John Cederquist and the Art of Painting with Wood opens at the Craft in America Center on Saturday, Feb. 27, with a reception from 4:00-6:00 pm. The exhibition will be on view through April 23, 2016. 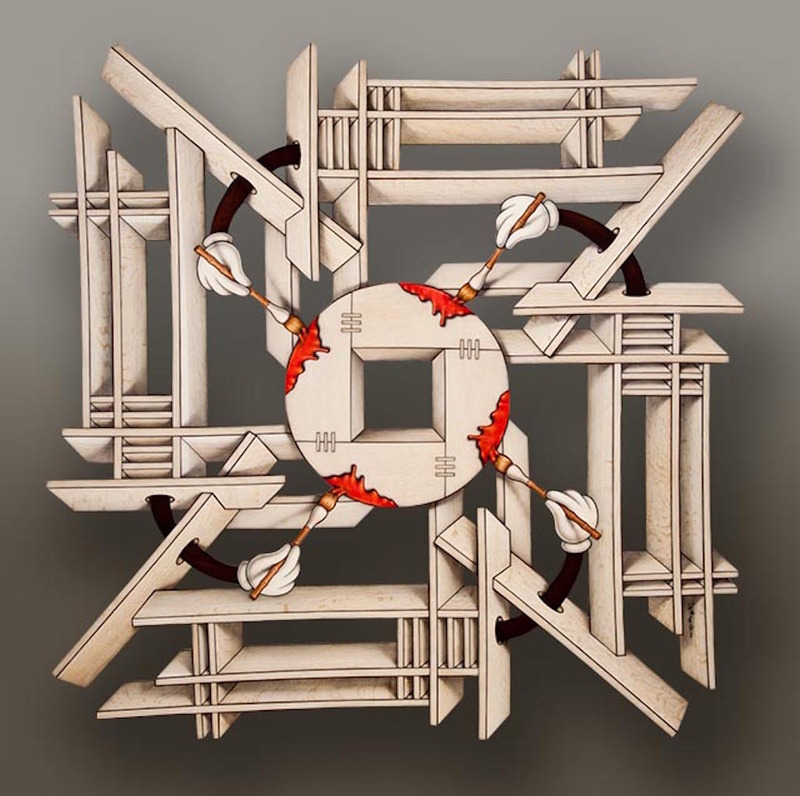 The first Los Angeles solo-exhibition in over 30 years for Southern California, artist John Cederquist features masterful trompe l’oeil wood inlay unrivaled in visual and intellectual complexity. Cederquist’s recent sculptural forms blur the boundaries between reality and illusion through beguiling works of depth deception that call into question notions of process, craftsmanship and perception. He takes inspiration from Japanese wood block prints and classic American cartoons, among other historic stylistic periods. Cederquist’s work can be found in the collections of the Smithsonian American Art Museum, the Philadelphia Museum of Art, Yale University Art Gallery and the M.H. de Young Memorial Museum, among others.